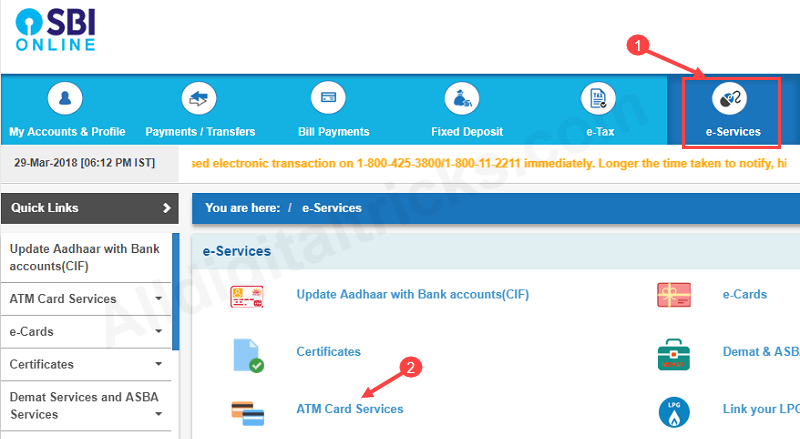 What is SBI EMV Chip Debit card and how to request online: For enhanced security and compliance with RBI guidelines for migration of EMV Cards, Bank has blocked old Magstipe ATM Cards (without EMV Chip) permanently. SBI customers can apply for a replacement EMV Chip Debit Card by visiting home Branch or through internet banking (www.onlinesbi.com). The replacement EMV Chip Debit Card will issued free of cost to you. EMV Chip technology is the latest global standard for Debit Card payments. This technology features Debit Cards with embedded microprocessor chip that store and protect cardholder data. This is a much secure technology as compared to Magstripe variants of Card. See how to order new EMV Chip ATM Debit card online through SBI net Banking. SBI customers who have net banking facility can request EMV Chip debit card without visiting home branch. Make sure your PAN card also linked with your saving account. 1: Visit – https://www.onlinesbi.com & login to your net banking account. 2: After login, click on e-Services tab. 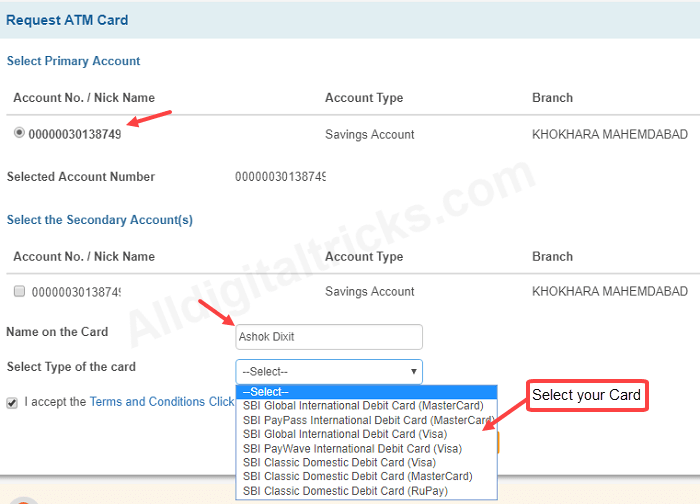 Here you can see ATM Card Services option, click on it. 4: Next screen, select your account number. Name on the Card, type your name. 5: And in last step, confirm your address and submit your request. 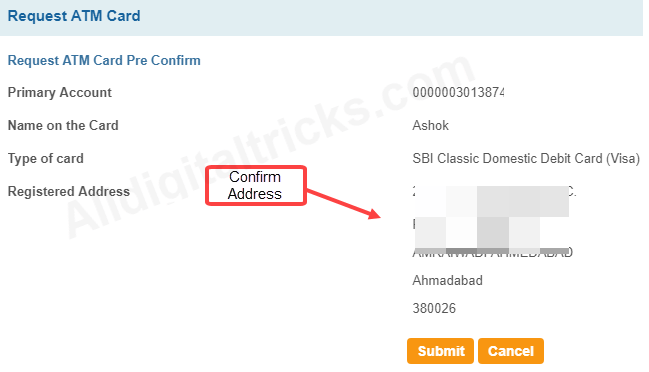 So this how SBI customers can request EMV Chip Debit card online through net banking. You can also visit your branch and submit request form if you have not net banking facility.